Sethi Account Solutions - A best online tally/tax/account learning site! Learn How to opreate tally with advanced feature. Learn Short cut keys of Tally. Its based on 21 PDF ebook and 49 Video Tutorials. 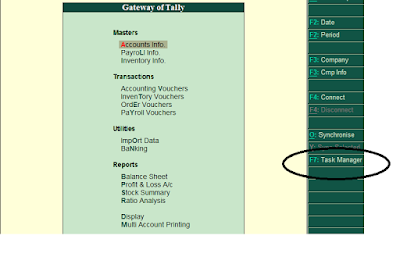 How To Add n Use Task Manger Utility in Tally erp9!! Lets learn how to enable Task Manager and use this in tally. First of all download the Task Manager utility from download link. Then Paste this Utility and close the Tally Installation Folder. And click on Product and Feature. Then User Task Report'll be open in Blue Screen. Here you can set your task alongwith date reminder. Once you'll set your task with date then this feature help to remind your task in tally. I bet you'll never forget any task during in your busy schedule. Guyz if you have any querry then please ask me in Comment saction! 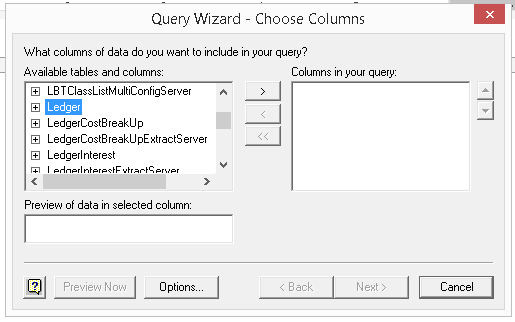 Here we'll learn that how to enable extra column in sales Invoice, without any TDL utility. Yes! this feature is already built in tally. we have to just enable and use this. So Now let me start this. Then Click on Inventory Feature--Select Use Separate Discount column. Next step : U have to go in Sale Invoice Voucher and Press F12. Provide numbers and kind of packages : Yes. 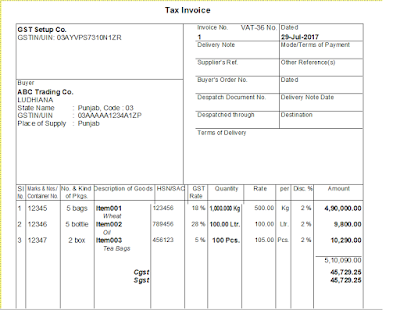 How to setup GST in tally step by step..? 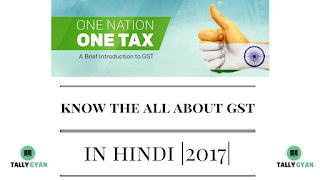 If you want complete setup of GST in your tally then fist of all you to ensure you that your tally is updated with latest version of Series A Release 6.0.1 (Beta Version). If Your Ans is YES! 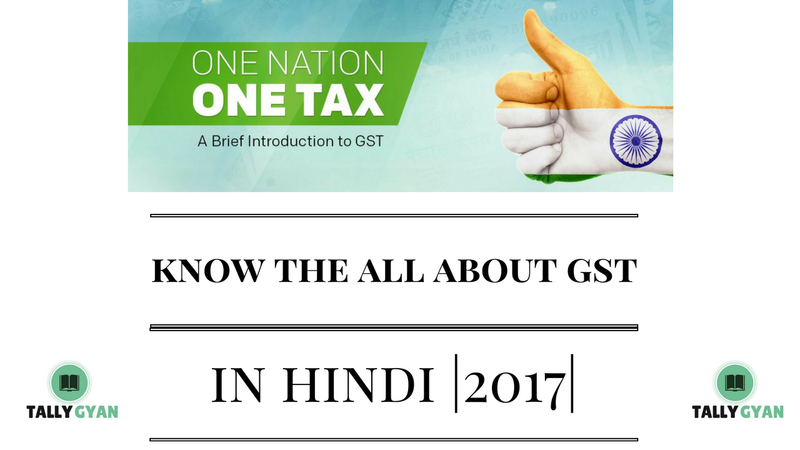 Note : in above we are not set the GST details because if you have multiple items which have multiple tax rates and HSN. then you have to as it is set this. GST Classification : In this section we can record the category wise GST rate and other details of GST as like GST 18%,GST Exmpted, Zero rated etc. Provide LUT/Bond details : This section for only large Taxpayer Unit and Exporter. Then You have to create the Stock Group. Then create your Stock Item. After this you have to GST setup in ledger A/c. In debtor/creditors ledger you have to just edit statutory details and update their GST No. in their a/c respectively. In GST setup in tally, now you have don't need for multiple Sales/Purchase a/c as you create before GST in tally. You have just two ledger a/c Sales A/c and Purcahse A/c. I hope this post'll little help to set up the GST feature in Tally and you raise the proper GST Sale Invoice in Tally with HSN code. If you like this post please like and share with others. In this video you can learn how to take the data back up, data auto back up and how to data restore in tally erp9. In my next video i'll teach some advanced level Tally course. So Please don't forget to subscribe our channel. 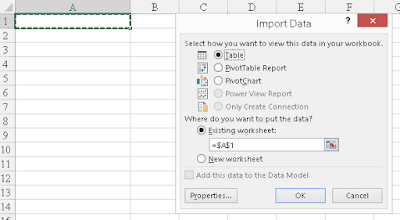 How to integrate tally with excel. This article for those people who are always busy to generate the MIS reports from Tally data. Sometime user feel frustrate to prepare report from tally to excel due to heavy backlog. 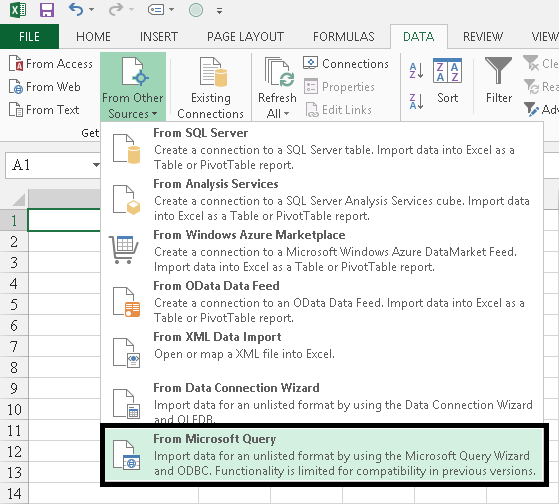 Because in this case, you have to maintain or update data in tally first and then go for export feature in tally to transfer the data in excel. we know it takes time to data transfer. So don't worry, now we have find the solution for this problem. 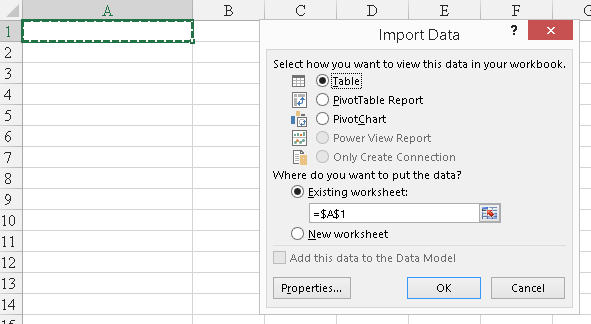 But now you can easy to manipulation the data in excel with follow my steps. 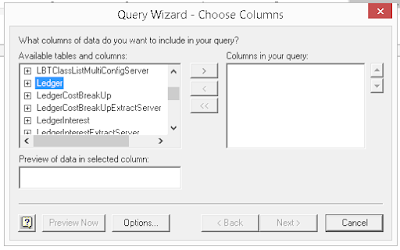 After enable this feature in tally as well in excel what i describe you in below, everyone can reduce its work load to prepare report and enhance its efficiency to do work in tally as well. Then you go Client/Server Configuration=== Then You have to ensure that enable ODBC server. 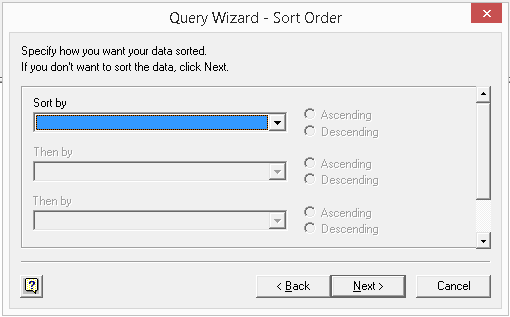 Tally ODBC_9000 and then Click Ok.
Then you have to click on ''L'' and drag down till on Ledger. And press the sign on Ledger's '+'. Then scroll the courser down till you find Address and click on this, and then click on Name. Then You Have click on Next as you seen above. Then again click on Next. In next step you to have click on finish with ensure that ''Return Data to microsoft excel'' is also enable. And after that you will see the all ledgers A/c name with Addresses in Your Excel sheet. And It sheet'll be auto mode. 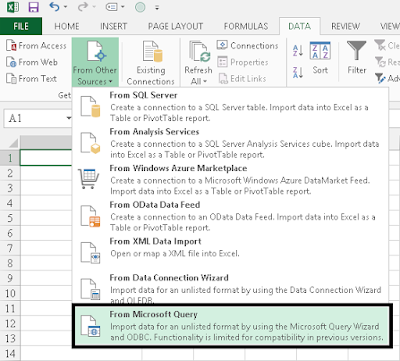 when you update the tally Ledger's Addresses data then you just need to refresh the imported data in excel. It'll be auto generate the fresh report for you from tally. 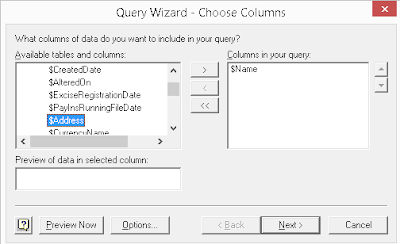 So friends if you have any query about Tally linking with excel. then you can feel free to ask in comment section. Power-Pack Add On Features For Tally ERp9. !! 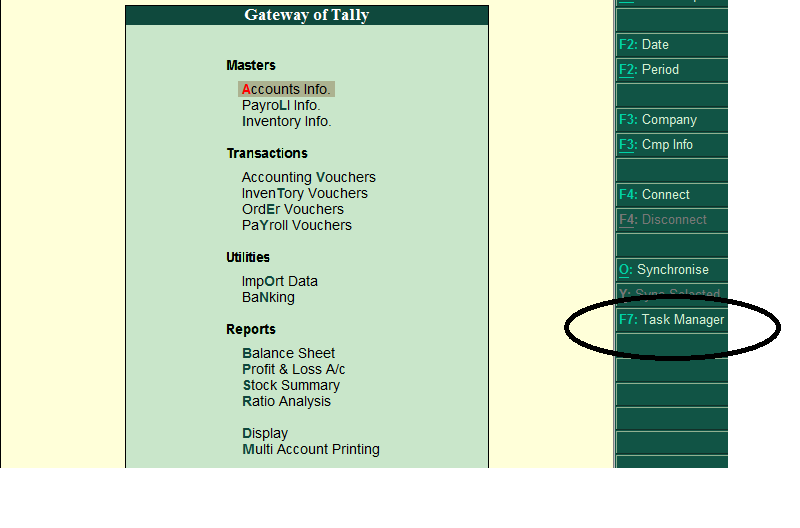 How many countries are using tally.erp9 software? Free Recycle Bin Utility For Tally erp9..!! Free Learn to recovery your tally password..!! Free Tally 9 crack version installation for limited use purpose.